Gemstones have the ability to transport us to far away and exotic places. 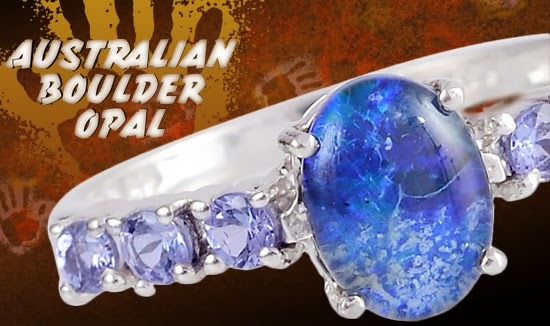 Just a glance at bounder opal takes you ‘down under’ to mysterious Australian and the legendary opal belt between New South Wales and northwest Queensland. Opal, as a family of gemstones, has a tremendous variety of types and colors, with looks and properties that are very specific and unique to their geographical locations. Boulder opals account for only about 2% of the annual production of Australian opals, making it the second most valuable type of opal (following Black Opal). It forms in thin veins embedded in a dark ironstone host rock. 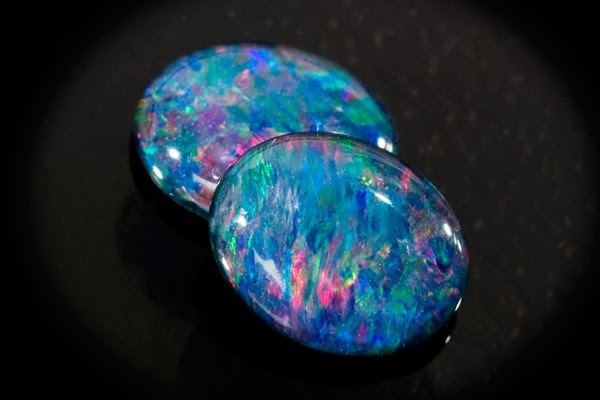 Because this thin vein formation makes it difficult to cut traditional domed cabochons, boulder opal is usually cut in unique free form flat cabochons, with a bit of the ironstone matrix often left on gem quality pieces. 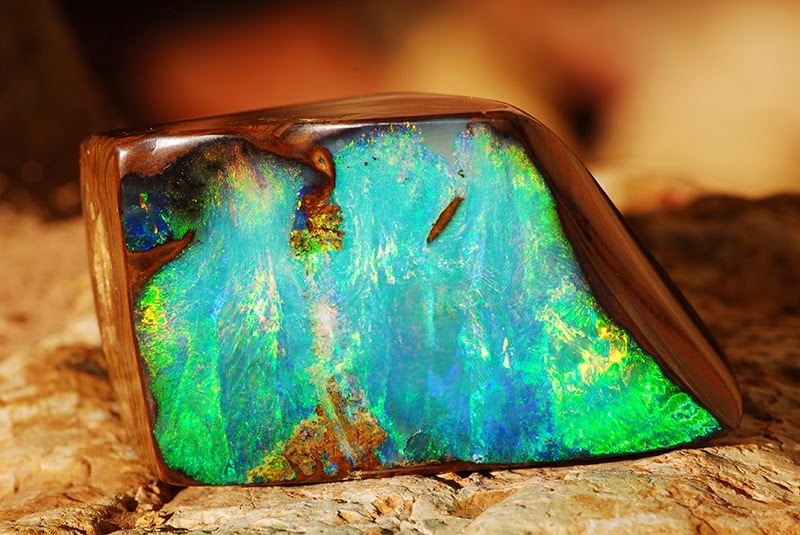 Boulder opal’s rich dark body color, signature brilliance, play of color, and rarity make it a very desirable gemstone. Opals have a lot of history and folklore from the Aborigine tribes in Australia who believe that opal has a spiritual value and brought fire to them and is a sign of a visit from an ancestor. Opal takes its name from the Latin word ‘upala’ which means ‘precious stone’. Pliny, the Roman scholar described opal as having the fire of a deep red garnet, the brilliance of amethyst and the green color of emerald. Romans treasured opals as symbols of hope and purity and protecting the wearer from disease. 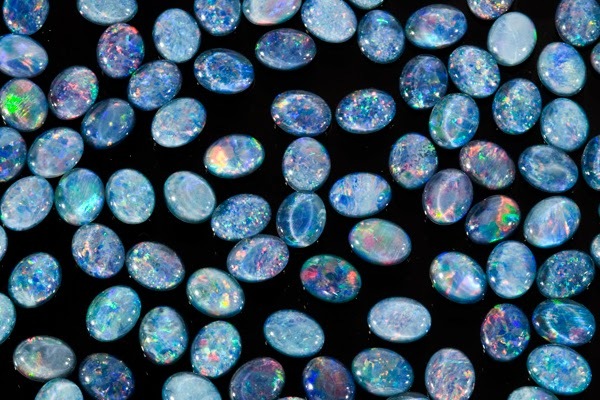 Arabs believed that opals fell from heaven as flashed of lightning and ancient Greens believed that owners of opal had the power of foresight and prophecy. And Cleopatra is said to have attracted Mark Anthony by wearing an opal. Opal is the birthstone October and the stone for the 13th anniversary. 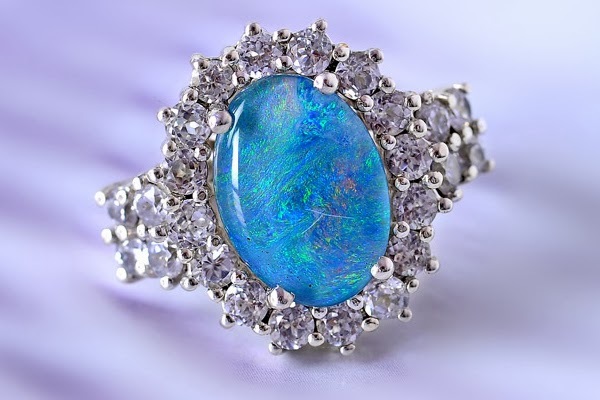 Most opal is 50-65 million years old, dating back to the Cretaceous period when dinosaurs roamed the earth. Opal formed as silica from decomposing rocks mixed with ground water which formed a silica gel that collected and hardened in underground cavities and fissures. Opal is 6.5 on the Mohs Hardness Scale.